The Nurture of Nature | Choose Your Energy: Change Your Life! Do you ever make yourself crazy with non-stop hustle and bustle? Too many rounds on the hamster wheel with no break? Between consuming the media, meeting daily deadlines and managing a life filled with concrete, cars and creditors, it’s amazing that any of us stay sane. Every day we’re met with a barrage of stimuli that can encourage us to become edgy and worry about situations over which we have little control. The only thing we can control in life is our chosen response to it. So, the next time you’re feeling stressed out and overwhelmed, instead of screaming or silently fuming, try this instead: get off that hamster wheel, turn off your technology and IMMERSE YOURSELF IN THE NURTURE OF NATURE. Re-ground yourself by taking off your shoes and socks and connecting your feet directly to earth, grass, sand or water. Take a walk in the woods, by the ocean or along a stream. Be fully present here and now. Exercise mindfulness to restore a sense of peace. Appreciate the strength of a tree or the majesty of the mountains and let their beauty overtake you. Lie back in the grass and look up at the sky. Enjoy the movement of clouds across a vast expanse of brilliant blue. Or gaze at the billions of stars twinkling against the black of night. Nature is a miracle of organic synergy and interdependence. Flowers don’t need alarm clocks to tell them when to bloom. Birds don’t need a recording studio to sing. Everything works in harmony, exactly as it’s supposed to. Taking a break outside relaxes your body, refreshes your mind, feeds your heart and soothes your soul. As you pause to reflect, reconnect and renew, you remember that you, too, are an essential part of this natural wonder. 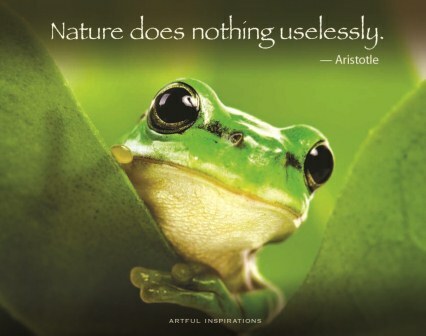 What can you do today to embrace nature and relax into your rightful place in the perfect, natural order of things? This entry was posted in All My Blog Posts, Joy & Vitality, Mindfulness, Meditation & Peace, Stress, Perfectionism & Burnout and tagged Deborah Jane Wells, How to de-stress, How to stress less, What is burnout, What is joy, What is mindfulness, What is peace, What is perfectionism, What is stress, What is stress management, What is vitality. Bookmark the permalink.